Butterfly embellished wooden lettering embellished with individually cut butterflies. Measuring 20cm in height x 15cm in width, and perfect for hanging in nurseries, on bedroom walls and also on entry doors. Price is per letter, please select letters required from drop down menu. Currently available in Pink, Purple, Blue, Silver and Gold colours (please choose from the drop down menus), other colours available on request. 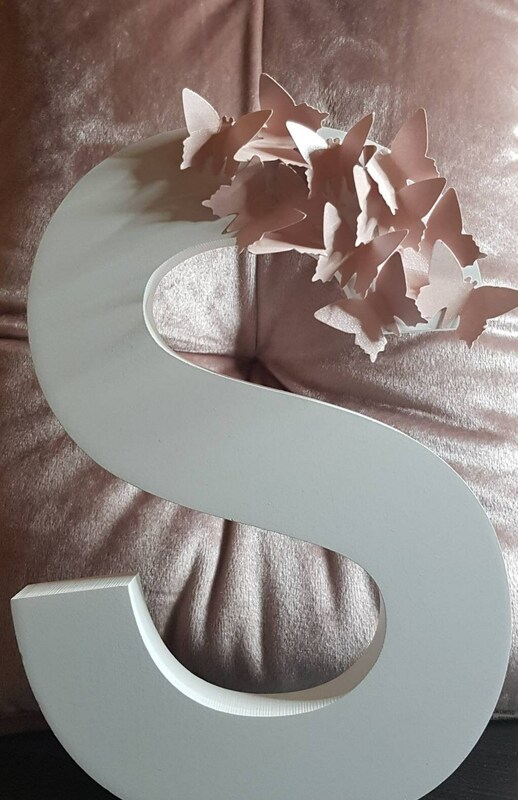 Wooden part of letters are white in colour. Production time after order has been placed is 5-7 days.